Praised for his “sensitive and unpretentious musicality” by Pianist Magazine, and referred to as “a major talent” by The Classical Source, Ji Liu has positioned himself as one of the brightest stars in classical music. In addition to topping the classical charts as a Global Classic FM artist on numerous occasions, he also delights audiences around the world, from the Royal Albert Hall in London to Carnegie Hall in New York. 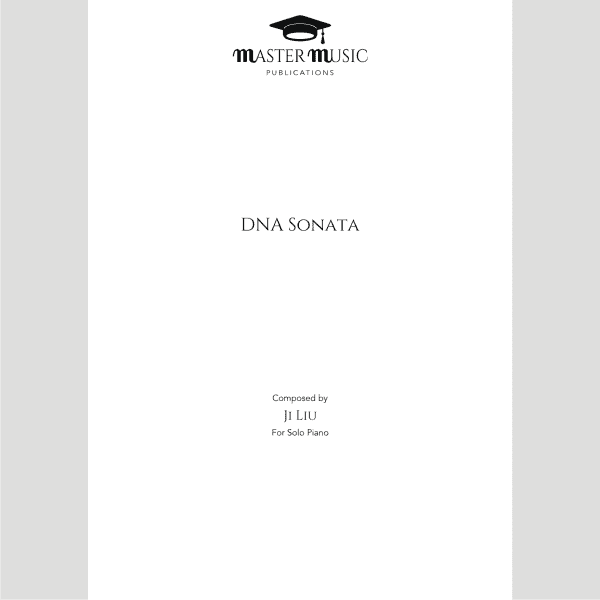 Though DNA Sonata is a one-movement Sonata, it actually has 3 parts. It is about contrasts and harmony; chaos and peace, wicked and righteous; mysterious and realistic. DNA stands for D and A- which can be the name of the two notes, or the name of the two keys. The Yin and Yang plays an important role in the Sonata, both harmonically and structurally. Yin typifies the odd number, and Yang typifies the even number. So the Sonata has 2012 beats in total. The first part of the Sonata has 1236 beats (103 bars with the meter of 12/8) which represents Yin; the second part of the Sonata has 764 beats (72 bars with meter of 9/8 and 14 bars with meter of 7/8, in total 86 bars) which represents Yang; and the third part has 12 beats ( 1 bar with meter of 12/8). Indeed, the first part plays a role as the Exposition of the whole sonata, but itself is also established by the Sonata form comprised by Exposition( 34 bars), Development ( 34 bars), Recapitulation ( 34 bars) and a small coda (1 bar). The second part of the whole sonata is a sort of development section, and at the starting point of the second part, it is the Golden Section Ratio of the Sonata. The third part of the Sonata is paralleled with the end of the second part, which compressed the first part of the Sonata into one bar. It also reflects all the materials which are displayed in the exposition.